Watch the best hands-on, help, how-to and comparison videos for the BlackBerry PlayBook! 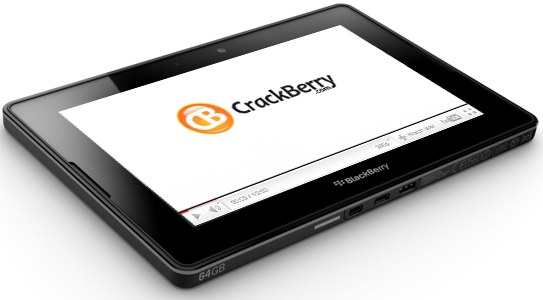 Want to know more about the BlackBerry PlayBook? Here we've compiled all the best videos so you too can be a PlayBook guru. We have help videos that will get you up and running, comparison videos so you'll see how the PlayBook stacks up to the competition and more. Even if you've read our BlackBerry PlayBook review and checked out all our other PlayBook articles, the videos will all be here on one page for easy access, and we'll be sure to add to the list so all of our BlackBerry PlayBook videos are never more than a click away. Be sure to bookmark this page as we'll be updating it often with all of the latest PlayBook videos. 1. BlackBerry Bridge Video Walkthrough and "Free Tethering" on the PlayBook Explained! 4. Hooking the BlackBerry PlayBook up to a TV and Controlling it with a Bluetooth Keyboard and Mouse!